December is the busiest time of year for me. Beside teaching my students I also have to sing a lot of concerts myself. Last december was no exeption. 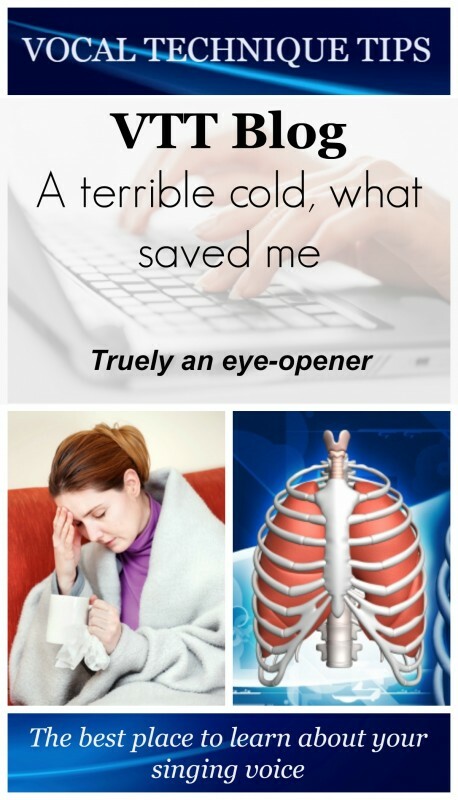 Unfortunately I had two terrible colds in four weeks. The first cold evolved into a bronchitis and I struggled to sing the first Christmas Concert of the year. The second cold almost ruined another two more concerts but I found something that saved me! On a monday morning, a started sniffing and sneezing. At first I thought it would be a minor cold but late afternoon I developed a fever, not very high, but still. The next day I stayed in bed sniffing, sneezing, and developing shortness of breath. Now this last symptom always scares me. As a child I suffered from bronchitis many times and it was hellish; extreme shortness of breath, my voice was gone (and I loved singing so much! ), just feeling miserable. During this cold the first symptoms of a bronchitis started to develop. As soon as I felt it, I took a mucolytic called Bromhexine. It helps not only to get rid of mucus but it also prevents the bronchitis to develop to its worst level. Unfortunately, two weeks later, a caught a cold again. During the rehearsals for a concert where I would sing the soprano solo in Saint Saëns’ Christmas Oratorio (with high b’s and a high c!) I wasn’t able to hit the high notes! With only a few days left before singing the concert I was looking for a remedy that would really work! Many singers say ginger tea helps them a lot to get rid of a cold. So I started drinking this tea. Although I liked the tea, it gave me coughing fits and my teeth stained so much my dentist had to remove the brownish stains…so I decided to let go of the ginger tea. That night, I decided to allow my voice to be ill, I did not force it to sound better than it could and I concentrated on the one thing I felt would help my voice to sing as good as possible: vocal technique. I did not force my voice, did not push the tone, kept everything relaxed and payed extra attention to breath support. I focussed on feeling the muscles in my back engaging while singing and allowing my abdomen to breathe and work freely. Because of the breath support I was able to sing everything, including the high b’s and that high c! Improve your breath support with weight lifting!